Barry Cinnamon wanted to illustrate how a small residential solar installer could profit while selling $2.00-per-watt solar. But he couldn't make the numbers work at $2.00. So, his presentation became "What Happens When Home Solar Costs are $2.50 per Watt?" when he spoke at the IEEE PV chapter in Palo Alto, Calif. last week. Cinnamon has worked in the solar-installer long tail most of his solar professional life. Not long ago, the residential installer industry was dominated by small shops, many of which had converted existing business like home improvement or roofing to focus on the emerging field. But the advent of new financing options allowed for massive VC-funded installer growth. SolarCity, the nation's residential solar leader, installed more than a quarter of all U.S. residential PV in 2013. The companies filling the No. 2 through No. 6 spots in the rankings grew from 15 percent to 20 percent in the period 2012-2013. As Andrew Beebe of Obvious Ventures just wrote, "We are now about to witness a reversal of this consolidation and enter...'the revenge of the long tail,'" adding, "This long-tail group is precisely what we need to create a more resilient, dynamic and customer-centric industry." Here are the highlights from Cinnamon's presentation. "A strong installer in a small market"
"I found that the most profitability you can achieve as a residential installer is just being a strong installer in a small market. So those are the two things I do. Spice Solar is a technology company; we sell to other installers all over the country. Cinnamon Solar is just your little local residential installer." 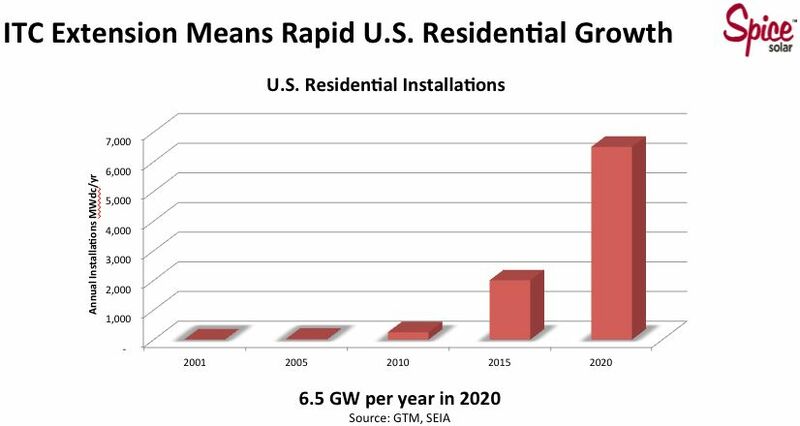 Citing GTM Research figures, he said: "We're looking at some pretty rapid growth, in excess of 6 gigawatts a year of residential installations by 2020." Then he added, "These predictions were rock-solid valid -- until November 8th." 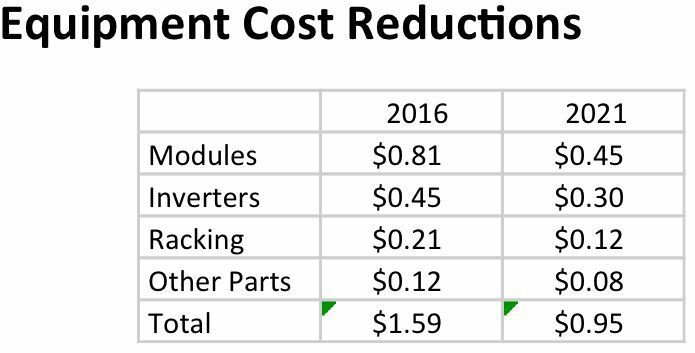 "What's happening in the installation business is that the module costs are coming down a lot, the overhead's coming down a little, but the labor costs haven't changed that much. I've looked back at labor data that I had from 10 years ago and it's still about the same per watt. 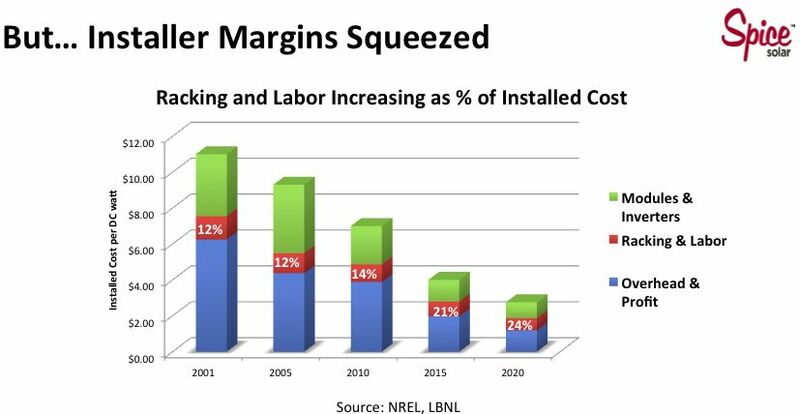 So what happens is, the installer margins are getting squeezed because the top-level price is coming down, but a lot of the remaining costs just don't change." According to Cinnamon, "Realistically, in 2016, the average residential installation costs are about $3.50 per watt. Now, if you look at the financial statements from some of the publicly traded companies and you're a financial genius, you might be able to figure that out, but it's very hard to determine what that is. But I can tell you, you look at data from GTM, you look at data from NREL, it's about $3.50 per watt." He added, "At Cinnamon Solar, we're doing more and more maintenance because, first of all, inverters that companies like mine put in 10 years ago and 15 years ago, they're failing, they need to get replaced. People want to remove their arrays and fix their roof and put the array back on; the modules are still fine. Unfortunately, I still haven’t figured out how to profitably do this maintenance. Just rolling a truck with two technicians and appropriate safety gear costs $200." "But it is a good business, because every single one of those customers for whom we do maintenance becomes a referral for us, and referrals are one key to being a profitable installer. Five years from now, the installers that are in business are going to be doing an increasing percentage of their business on maintenance, as you see what happens in other mature industries that are analogous to solar, like HVAC." Cinnamon pegs his inverter cost at $0.45 a watt from a blend of his vendors. "My company installs mostly SolarEdge right now, SMA string inverters, and once in a while Enphase microinverters. When I look at my fully loaded tax and freight costs including monitoring, an SMA inverter is around $0.37 a watt, a SolarEdge inverter is about $0.47 a watt, and -- this number surprised me -- the Enphase inverter is $0.67 a watt. Now, the prices you hear may be lower because of special incentives and rebates; I'm not going to get into all the kickbacks -- and market development funds that bring those costs down a lot, but the inverters and all their accessories are still kind of pricey." "And there's tremendous potential for companies like Huawei to come out with really cheap inverters," said Cinnamon, adding, "They make good stuff, but is it going to work with the monitoring and the battery systems and have all the capabilities that we want?" "When I look at the average cost of quality racking with grounding and array skirts and everything you need -- splices, flashings, roof hooks and wire clips -- it's about $0.21 a watt. Other components -- electrical boxes, wiring, conduit, nuts, fasteners, safety anchors, sealants, tools – that adds up to $0.12 a watt." "Note that when I benchmark costs I include applicable sales tax and freight for all components." "Inverter costs will come down with new competition, better functionality integration such as built-in monitoring and module electronics, and higher volume production. We take two steps forward with inverter cost reductions, then we take one step back when we add new functionality such as rapid shutdown and grid interactivity." "Racking costs will also decline as module companies realize they can reduce their customer’s costs by integrating the mounting systems and grounding into the modules themselves. The weight of the racking alone for a single solar panel is almost 5 pounds. Building that mounting system functionality into the module frame reduces expensive aluminum costs as well as direct and indirect installation labor." "As the efficiency of the module goes up, if the module price doesn't change, then you see significant savings. A rough rule of thumb is for every 5-watt increase in the module output, if you go from a 300 to a 305 watt module, if the module price doesn't change, the customer can get a system that costs $0.04 per watt less. So, there are some significant savings, and this metric works well in the band of 250 to 350 watts. Higher efficiency really reduces cost, but the caveat is that higher efficiency really reduces the cost to the customer only if the cost of the module doesn't go up commensurately." "When I look at my average labor costs for doing a residential installation, even seven or eight years ago, it was still $0.50 a watt. You could call up an installer and say, "Hey, I've got a bunch of solar panels, I got my permit, I got everything to go, can you just send a crew over to put it in, and many installers would say, '$0.50 a watt.'" "For 10 years, I've been trying to reduce the customer acquisition cost for my residential installation companies. What I found when I grew Akeena from four guys and two trucks to offices all over the country -- the bigger I got, the higher my customer acquisition costs got. I thought it would be scalable; it's not. The most cost effective way to get new customers is from referrals, but that technique does not work in rapidly growing markets when the referral base starts from zero. Moreover, regional markets come and go – and when incentives or net metering rules change, markets can shut down overnight, resulting in a complete write-down of all invested costs, which is a big expense hit. 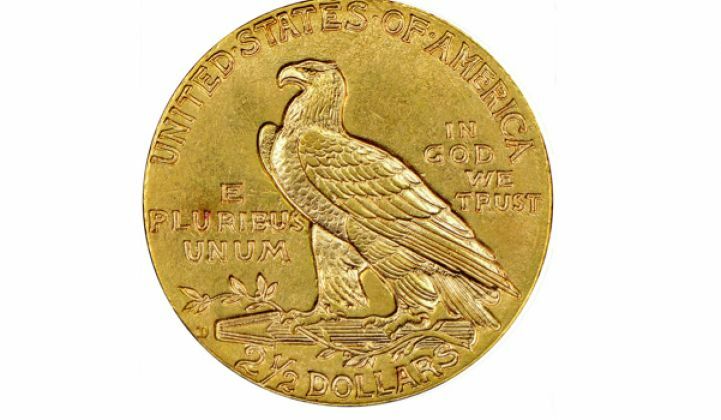 There are huge differences between customer acquisition costs at the big public companies that are driving top-line revenue based on advertising, buying closed deals and highly paid salespeople -- some of those costs are going to be $0.75 to $1.00 a watt – and smaller local companies that have a flat organizational structure and get the majority of their customers from referrals." "I think what's going to happen with the customer acquisition costs is that they're going to start coming down, not because we found a better way to find customers, not because of technology and web funnel sites and direct mail. 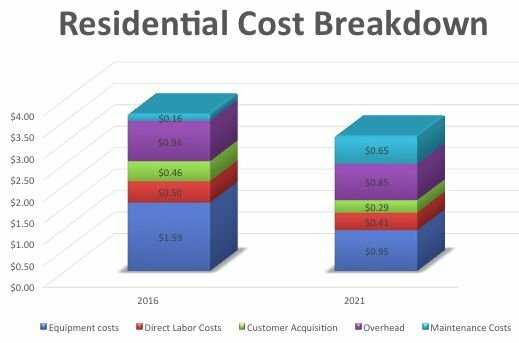 It's going to change because the business model in the solar industry is going to evolve more toward local installers who, by necessity and inherently, have lower customer acquisition costs." Cinnamon sets engineering and permitting costs at about $0.09 a watt. "I used to have a room full of engineers and project managers, and their entire job was to take the sketch from the salesperson, who would usually go up on a ladder with graph paper and sketch it out and then turn it into a drawing, and then try to get approval from the customer that the design is OK, then get the building permit. And the cost per job, when I looked at my overhead for all those people and how many permits they actually got, it was astounding. It was like, way over $1,000, sometimes $1,500, sometimes $2,000, because these permits would take time, they go back and forth, and take multiple revisions." Cinnamon said he saw a lot of benefits come out of the DOE SunShot program, particularly in the field of software that helps installers with design and permitting. He noted that a company he worked with, Greenlancer, had a web-based form that allowed an installer to "submit a picture of where the solar is going to go on the roof, it's usually a satellite photo, there'd be a sketch of where the modules are. You put some parameters about the job, the modules, the racking, the inverters, the customer's name, boom, boom, boom. In two days, they send back a permit, less than $250, almost always perfect. If there's a change, they make it for free. So there are some areas in the solar business, residential and commercial, where outsourcing is absolutely terrific, and this is one of them." "In my experience going back to 2001, the most common cause of a customer service call, without a doubt, talk to any installer, is a problem with the monitoring. The system is still working. The inverters are still working. That green light is on on the SMA inverter. All the Enphase inverters are working. But the monitoring is not working. Enphase just wasn't able to really solve that monitoring problem as well as SolarEdge was. I think the reason is Enphase used powerline communication over an AC line – which is noisy. And then they'd use the home's internet connection to transmit the data. SolarEdge took a different approach. They communicate to the optimizers on the back of every module though the DC wiring so there's less noise, and then use cellular communications to their server." 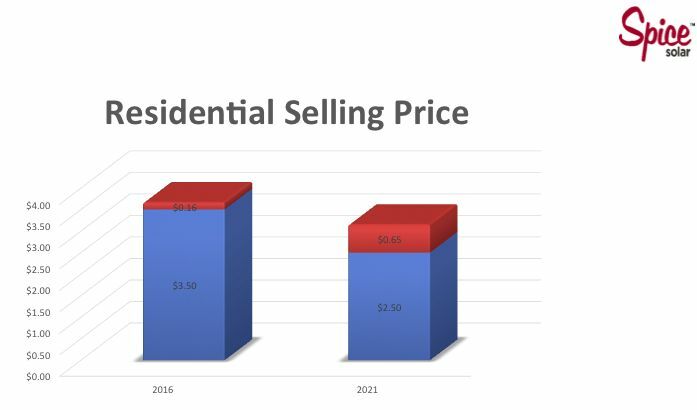 "So in 2021, let's just assume that it's $2.50 a watt, as long as we put the system in before the end of the year, so you're looking at 5 cents a kilowatt-hour, maybe a bit more if the customer does not have a 25 year inverter warranty." The question now becomes, "Where can you have a profitable business model when the selling price of the system is $2.50 a watt and electricity is 5 cents?" "If you look at the HVAC business, it's kind of the same. If you talk to an HVAC company and say, 'I want to put air conditioning in my house,' you're looking at a cost of about $10,000 to $15,000 for the equipment, the duct work, the permitting and everything else. It's the same with solar. That HVAC work is also maybe $5,000 worth of compressors, controllers, air handler, duct work and the rest of the $10,000 is labor. So, I think the solar business is going to start looking a lot like the HVAC business. The other way it is going to start looking like the HVAC business is there is going to be a lot of maintenance involved." "I look at storage as the antidote to the metering caps, unfavorable time-of-use rates, and demand charges. Battery storage with solar is going to preserve the customer economics -- that is what we all expect is going to happen as the battery storage systems get more affordable, and most importantly, when they get fully integrated with reliable inverters, control hardware and software." "I believe the small, efficient installers will crowd out the very big installers if they don’t change. There is a lot of potential for strong regional installers that can dominate adjacent local markets. New business models have great potential to reduce costs, such as franchising based on technology and branding, selling solar along with complementary home services, and companies that focus on just one part of the customer experience -- such as financing or installation." He added, "In a few short years a 6,000-kilowatt system is going to cost about $10,000. Slap that amount on a credit card or take it out of savings. 5 cents per kilowatt-hour, compared to the U.S. average of 13 cents per kilowatt-hour -- and in some states over 25 cents. These low behind-the-meter solar electric rates are what is freaking out the utilities. And short of making it illegal for customers to install rooftop systems -- most likely with storage -- I don’t see any future in the conventional utility business model."